Katherine Johnson, a woman who worked with a team of African-American mathematicians to launch the first men into space by making accurate mathematical calculations by hand, turned 100 years old on Sunday. 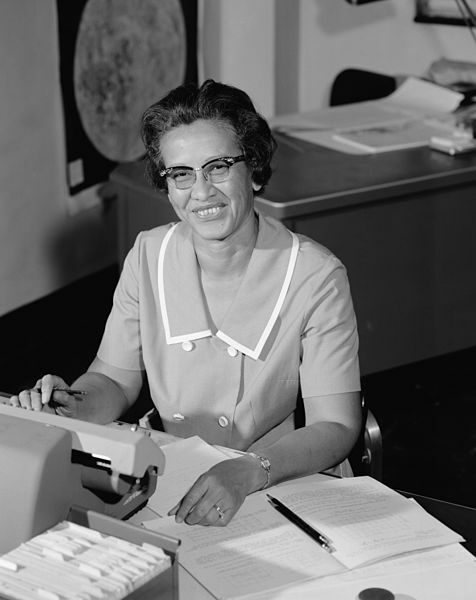 Katherine Johnson was often called the “human computer” and was even featured in the movie “Hidden Figures” in 2016. In an interview she told The Virginian Pilot that she is fortunate to have lived so long. “I’m just lucky – the Lord likes me,” she said. “And I like him,” she added, after a pause. In order to congratulate the famous mathematician, who worked at the Langley Research Center in Hampton, Virginia, NASA posted birthday tweets, specially intended for Johnson, highlighting everything that she did for the space agency and space travel in general. The other women, however, that were part of her team have since died. What an absolutely remarkable dedication to Dr. Katherine Johnson. Johnson did an extraordinary job by pushing herself into the work that was at that time highly dominated by men, for which she has been credited. Her dedication and hard work secured her a position into the inner circle of the American Space Program, according to a report in CNN. She made calculations for Alan Shepard’s Mercury flight, the first manned U.S. spaceflight. Moreover, she was the one checking the output for John Glenn’s spaceflight, and later she aided NASA in mapping the surface of the moon during the preparations for the 1969 landing. She also contributed to the return of the Apollo 13 astronauts as they were facing technical issues. Katherine Johnson retired in 1989 and later in 2015 received the National Medal of Freedom for all her work. Hopefully her work will inspire many other people who are interested in mathematics and astronomy.